Regardless of personal opinion on Google, it’s pretty fair to say that a significant portion of technology enthusiasts make use of at least one of their products – or services – on a day-to-day basis. A large section of us regularly allow the company to handle our email needs through Gmail, and it’s been evident in recent times that Google has been working fairly tirelessly in an attempt to enhance its extremely popular email offering and make everything a little less cluttered for all of us. The latest of those efforts has manifested itself with a fairly significant update to Gmail for web and mobile based users, that now offers a tabbed inbox experience with mails sorted into varying categories for easier organization. 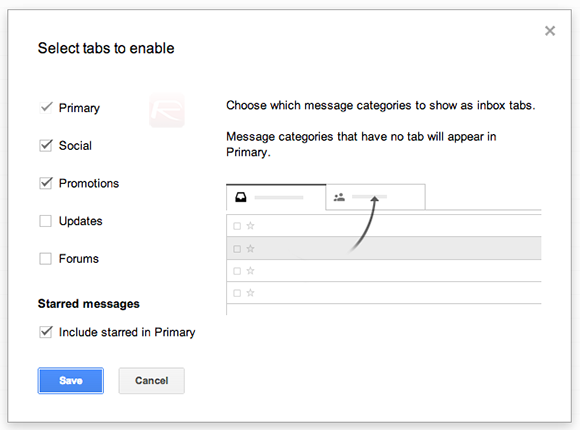 If your Gmail inbox is causing concern and could do with an organizational overhaul then follow the extremely simple steps below to enable the new features for Gmail through a web browser. Step 1: Open up your web browser of choice and log into your Gmail account through the usual methods. Step 2: Select the Cog/Settings icon from the top right-hand side of the interface. This is the same action that is generally used to access Gmail themes, display density and other available settings relating to the logged in Gmail account. Step 3: Select the Configure Inbox option that should be showing approximately halfway down the list of available options. 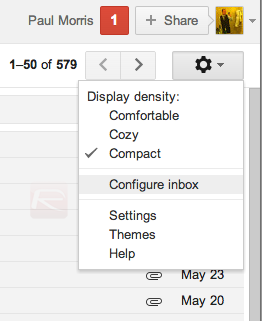 NOTE: If the Configure Inbox option is now showing against your Gmail account then try logging out of the account and back in. If it still isn’t available then wait patiently as Google could be initiating a phased rollout of these features. 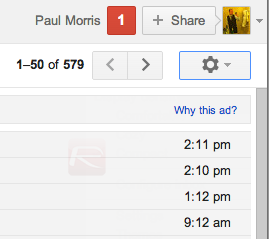 Step 4: By default, Google allows five different tabs to be set up on the inbox. The resulting popup will offer the ability to select the desired tabs before selecting the Save option to move on. Step 5: A new overlay screen will appear that provides a little additional information about the new setup. Select the Okay, got it button to continue to the email inbox and see the new tabbed setup. It’s already evident that the new categorized / tabbed organizational setup will not be to everyone’s liking, but it definitely has the potential to make things a lot easier for those Gmail users who have large and often unorganized inboxes. Thanks, it worked . . .